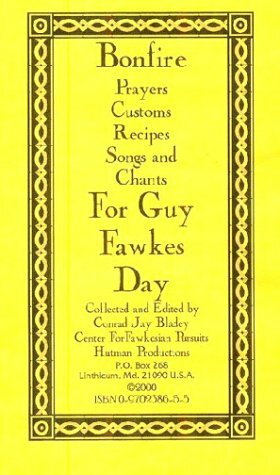 This book is a wonderful short guide to Guy Fawkes Day and its Celebration. Chants/Prayers, Songs, Recipes, Brief Plot History, Illustrations of Guy Effigies. All you need to prepare a grand event. 36 pages staple bound. $9.00 Includes postage in USA. For other rates click here to inquire. Send Payment to: Hutman Productions, P.O. 268, Linthicum, Md. 21090 U.S.A.
We greatly appreciate each and every order. Proceeds will be utilized to help us in our pursuit of research and for the development of future publications.